Public sector procurement objectives are quite predictable and intuitive – find savings for other departments to be able to meet their budgets. Why do municipalities, as an example, have a procurement department? The rationale is that supply chain professionals know how to put deals together, can understand the world of competitive bidding and the applicable laws, trade agreements, and principles of buying and are good at dealing with multiple contracts. The need for municipalities to deliver value for money as it relates to infrastructure investment and operations requires a team approach. Engineers and operational staff design and procurement collaborate by putting their specifications into commercial documents for the private sector to respond to with competitive tension. We measure the performance of procurement by and large as to what the difference was on the budgeted amount and the final out-of-pocket cost. If favourable, the recognition goes to procurement. This public sector means of doing business is based on the consumption of resources to provide goods and services to the taxpaying stakeholders. It makes sense to do this following best practice. Another concurrent opportunity is also present in each municipality. The ability to affect value on behalf of the taxpayers through procurement by engaging with social enterprises in their community. Why should procurement take this step outside of its usual mandate and engage with social development? If a municipality is able to create meaningful employment for individuals through social enterprises, the municipality reduces its financial burden related to delivering conventional social services. By creating employment opportunities, procurement can contract for its requisite goods and/or services through social enterprises at very competitive rates meeting two important functions – providing value for money and building social capital. Social procurement is utilizing procurement policies and practices to affect social impact. Procurement can run a competitive process and/or make a direct award to a social enterprise to deliver goods and/or services. Social impact results in measureable improvements in the living standards of individuals, groups and communities. This is the noteworthy component of social procurement – building the social capital within the community. Society acknowledges that there will always be a requirement to provide food, shelter, clothing, and health services to those who are unable to care adequately for themselves. By removing the stigma attached to charity or conventional social services and providing meaningful work to many individuals who are typically under-employed, procurement can contribute in an important way. Social enterprises are the bridge between the under-employed and the public workplace. Social enterprises operate as non-profit organizations to provide work to the under-employed, disenfranchised, or people with other employment barriers. The under-employed often have employment barriers but have the desire and capability of working. They need the opportunity. Many private sector companies are engaged with social enterprises as well. It is not a zero sum game of taking away business from the private sector and giving work to a social enterprise. Social enterprises complement the private sector. Social enterprises usually have a targeted employee focus such as new immigrants who learn sewing and production skills; or people with mental illness who learn how to assemble and package safety kits. While some social enterprises are started with grants, few rely on those grants to continue operating. Social enterprises must be financially sustainable. To name a few – assembly, banners, couriers, cartage, carpentry, catering, custodial, construction, demolition, distribution, drywall, electrical, fencing, graffiti removal, landscaping, packaging, pressure washing, roofing, sewing, snow removal, tile, upholstery, window cleaning, etc. All of these types of goods and services are required on a daily basis in all municipalities or on a seasonal basis. These contracts may be awarded under competitive bids, direct awards, or pilot programs as part of a larger economic development strategy. 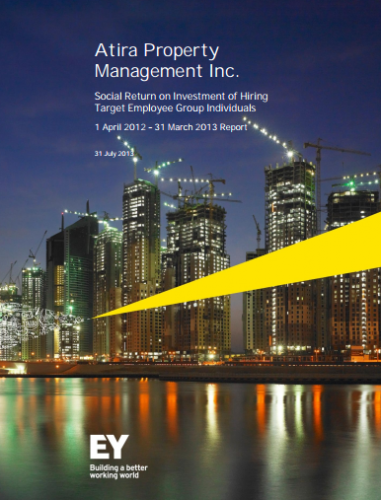 The 2013 study by Ernst & Young for Vancouver-based Atira Property Management provides a very good insight into the business case for social impact. Summarily, this report indicates that for every dollar spent with a target employee group, the social return on investment is ~$3.50! This study was based on a target group of 105 employees which had the economic multiplier effect of generating over $600,000 in the local economy. This study revealed several key facts. Meaningful work represents a society’s values and expanding the opportunities pays dividends. There is a reduction in crime-related costs, reducing housing and shelter costs, less dependence on food banks and social assistance and an improvement in health, quality of life, and employability. Most of the target group’s living expenses are spent locally in the form of taxes and with local retailers which is a redistribution of the wealth to the community. The message here is that public procurement should work with social enterprises to expand the opportunities to continue this type of success. It’s not that this isn’t being done today – it’s just that there is so much room for expanding the role for supply chain professionals in this area. This implies that how we measure the performance of procurement may need to include social engagement as a factor. Another quantitative example in the lower mainland is provided through a recent report by Starworks Packaging & Assembly. Starting with 7 employees 15-years ago, it has paid $1.8M in wages and now employees ~45 employees with a payroll of $250K per year. This could be extrapolated to represent a social impact of $750K per year! Starworks provides services to public and private sector organizations. Starworks offers high quality services at very competitive rates. Their employees are paid at minimum wage rates within a safe working environment. Many of their employees faced employment barriers but were given the chance to show their worth. Starworks’ employees pay taxes and contribute to the local economy through their living expenses. They support local businesses, arts and entertainment. Their self-esteem improves through the meaningful employment they have and this in turn provides them with a healthier and more independent life style. The attention is on the prevention rather than the cure. Public procurement should seek input form social service specialists and economists when engaging with social enterprises and when evaluating the competitiveness of their proposals. Being a tax-supported organization, the public entity should explore the many ways to contract with social enterprises which are trying to build and contribute to the community social and economic interests. Social enterprises are helping to reduce operating costs for several branches or levels of government and should be viewed as an asset and not just an expense in terms of fiscal management. They operate the same as any small business. They have a need for sales and revenues and welcome the business opportunities afforded by the various levels of government. Holding forums with social enterprises is a great way to find out who they are and what they can do. 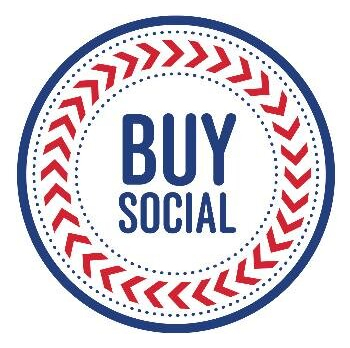 Reverse trade shows are also another means of contacting social enterprises. Meeting face to face and looking for the mutual benefits is a start. The Vancouver lower mainland has many including: CleanStart, The Cleaning Solution, Common Thread, Embers, H.A.V.E., Mission-Possible and Starworks Packaging. They offer a wide range of goods and services. I would argue that it is not more work – it is different work. It is less focused on cost savings and more on enabling social value. Juxtaposing social and economic development along with environmental issues, really adds value. As procurement is the conduit between governmental needs for goods and services and the market, it is a natural move for procurement to adopt a more assertive role. The buyer becomes a broker in these situations. Brokering implies finding the right social enterprise to provide the services at competitive rates and capacity and matching them to the specific organizational needs. Brokering can also mean having a portion of the overall contracted goods or services with much larger sales organizations be supplied through social enterprises in local community partnerships. Social enterprises that have been in business for a while can be treated much the same as other established businesses. They can be measured on price, quality, delivery and service performance. The distinction of the social enterprise is its non-profit business model and its purpose-based mission statement. Social enterprises are not impeded by the need to generate profits neither are they operating to subsidize social services. Social enterprises can be judged on their own merit. As public procurement is funded directly by taxpayers, for the good of the taxpayers, it makes good sense to look at the ways to provide services through social enterprises to optimize the benefits to the taxpayers. That is buying, into the future. Larry Berglund, SCMP, MBA, has been involved in supply management for 35 years, with experience in the forest industry, public health care, municipal government, university operations, and consulting services. 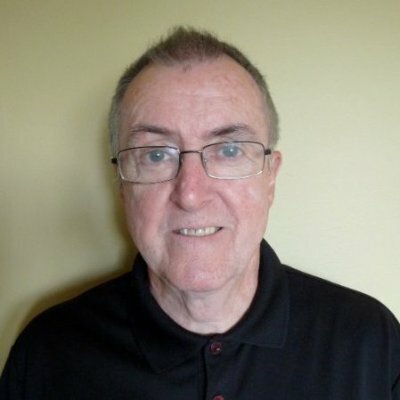 He has taught accredited courses at the British Columbia Institute of Technology, the University College of the Fraser Valley, Kwantlen Polytechnic University, and UBC Continuing Studies, as well as supply management courses, seminars, webinars, and workshops for business and professional associations. Larry writes on a wide variety of supply chain topics including operations management, negotiations, sustainability, corporate social responsibility, inventory management, and strategic management. He also conducts onsite operational reviews. Larry is the principal of Presentations Plus Training & Consulting Inc.